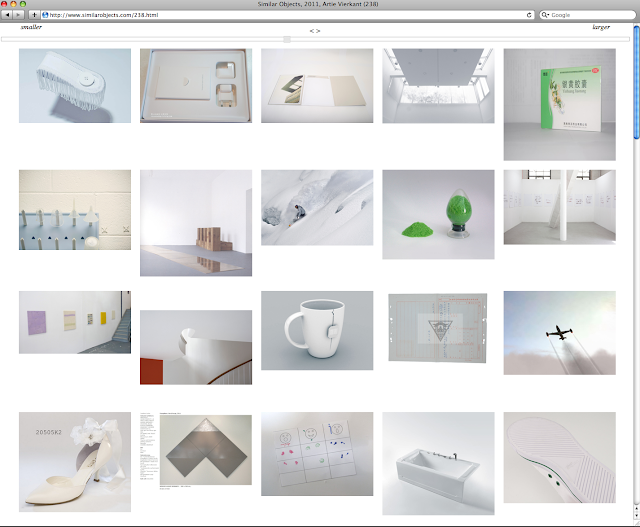 Similar Objects by Artie Vierkant is an extensive website of images culled from the internet. The web based work uses Google's 'search by image' function to collate images which are visually similar. The softwares algorithmic detection groups together objects that have similarities due to their pictorial composition. 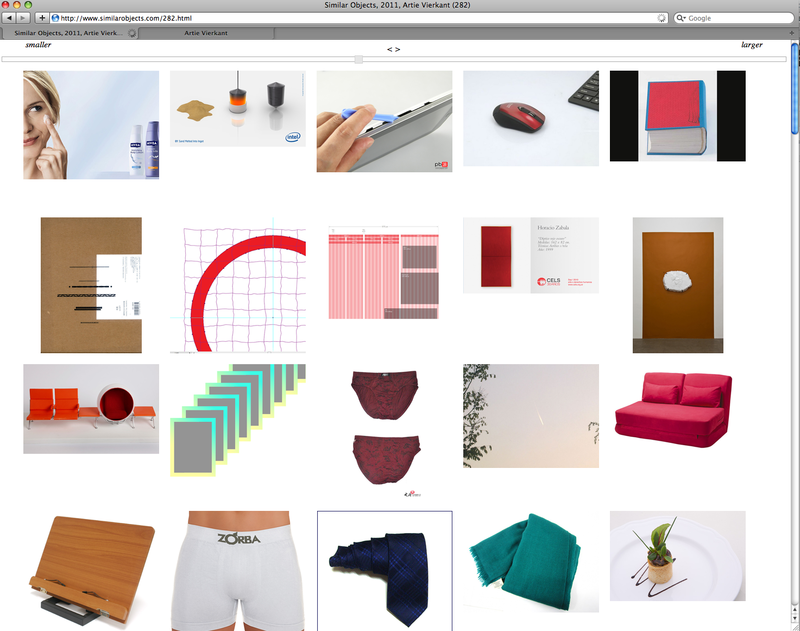 "I think this kind of virtual-physical relationship in particular interests me, the degree of augmentation or representation that succeeds in actually changing how we think about or interact with an object. This way we can concentrate on building layers of infrastructure that effectively create new spaces."